After selling only 800 models last year – down from over 10,000 as recently as 02009 – the last typewriter factory in the world (according to The Daily Mail) has closed its doors and halted production. The factory was run by Godrej and Boyce and was based in Mumbai, India. The majority of the typewriters being produced in the last few years were for writers of Arabic in countries where modern PCs have yet to fully penetrate the market. Rarotype Inc. in Sunrise, Florida still manufactures printwheels for use in manual typewriters of many different brands. You can live in a typewriter factory in Emerson, IL. Check out these USB Typewriters for giving your iPad that vintage feel. The Early Office Museum explores the history of typewriters. 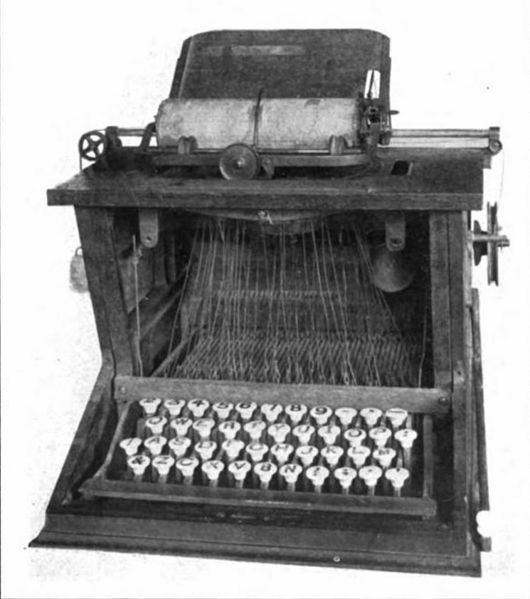 IBM has an online timeline describing their contributions to typewriter technology.